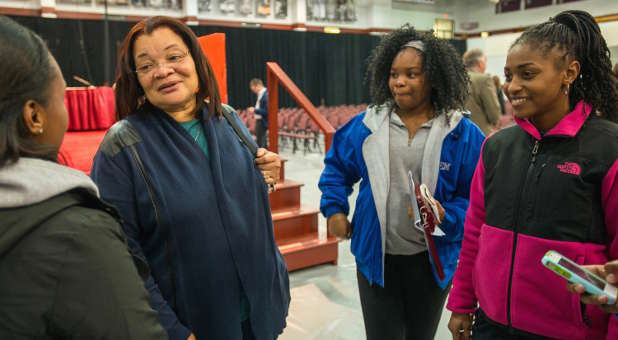 You have seen Dr. Alveda King on Fox News, and you may have read the cover story about her in Charisma in August 2009. You may know she is the niece of slain civil rights leader Dr. Martin Luther King Jr. But did you know she is also an evangelist? Especially during Black History Month, I believe this is a story worth telling. Recently, I interviewed her on my Strang Report podcast, which you can listen to here. She explains how she was radically saved in 1983 after experiencing much pain and hardship. Not only was her famous uncle slain in 1968, but her father, Rev. A. D. King, was also murdered only a year later. Alveda’s grandmother, Alberta Williams King, was shot and killed at her organ at Ebenezer Baptist Church in Atlanta in 1974. Alveda King also underwent the pain of abortion. After Jesus changed her heart, she not only became a champion for the pro-life movement but has helped many women by sharing her own story about abortion. She travels widely. She is greatly respected by many who know her as a voice of reason and traditional values within the black community. Dr. King is also very active in her church and from that base works as an evangelist. She extends her ministry through social media and has nearly 74,000 followers on Facebook. She employs several part-time staffers, but she is looking to expand her staff as her ministry grows. Dr. King is a prolific writer. This weekend, she wrote about Norma McCorvey, the “Jane Roe” of Roe v. Wade, who died this weekend, about Melania Trump praying the Lord’s Prayer and about an extraordinary dream she had. You can read it here. I believe in some ways, Alveda King is a “missionary to the inner city.” I believe her work is so important that I support her monthly. Won’t you support her with either a one-time gift or, better yet, by giving on a regular basis? You can donate through Christian Life Missions, and 100 percent of what you give will go directly to Alveda King Ministries. She will report back on how she uses those funds. You can give by clicking on the donate button on this page. You can also call (407) 333-0600, ext. 5102 during business hours and give over the telephone with a credit card, or you can mail a check to Alveda King Ministries, c/o Christian Life Missions, 600 Rinehart Road, Lake Mary, FL 32746. I am hoping this appeal will touch the hearts of many people who will stand with Dr. King and support her ministry. Please share this with friends, and let’s get the word out about the important work Alveda King is doing for right to life and many other causes. 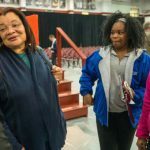 You can learn more about Dr. Alveda King and her ministry by visiting alvedaking.com.